Located just minutes from the beach and steps from championship golf, shopping at Barefoot Landing and dining, Barefoot Resort offers you first class accommodations with all the comforts of home. Our vacation rentals are beautifully decorated and well appointed with everything you’ll need for an enjoyable stay with us. From now through September 1st you can save 25% on your stay at Barefoot Resort when you book your golf getaway with us at Grand Strand Resorts. The resort has 2, 3, and 4 bedroom waterway condos at Barefoot North Tower and Yacht Club Villas with views of the Intracoastal Waterway, marina, and the Grand Strand. 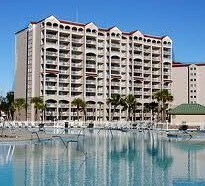 There’s a swimming pool at the resort that is more than 68,000 cubic feet, making it one of the largest in the Myrtle Beach area. With our 4 championship courses designed by the legends of golf – Tom Fazio, Davis Love III, Peter Dye, and Greg Norman – our name is synonymous with golf. Just ask anyone! You won’t find as many great courses in any one area along the Grand Strand as you will find at our resort. 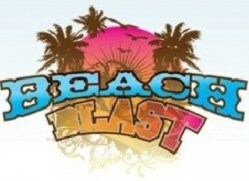 The Beach Blast Christian Music Festival in taking place in downtown Myrtle Beach on May 19, 2012. Performing artists include Third Day, Toby Mac, Royal Tailor, Jamie Grace, Emcee KJ-52, Red, and Outcast BMX. Special guest speaker Nick Hall will also be at the event. The festival will take place between 8th and 9th Avenues North on Ocean Boulevard.